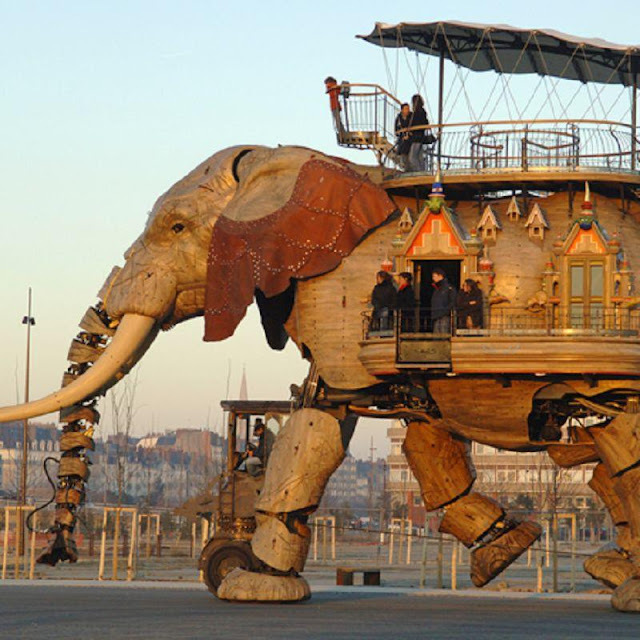 This wacky invention is the work of Francois Delaroziere who was asked to make it as a celebratory token for the death of Jules Verne. 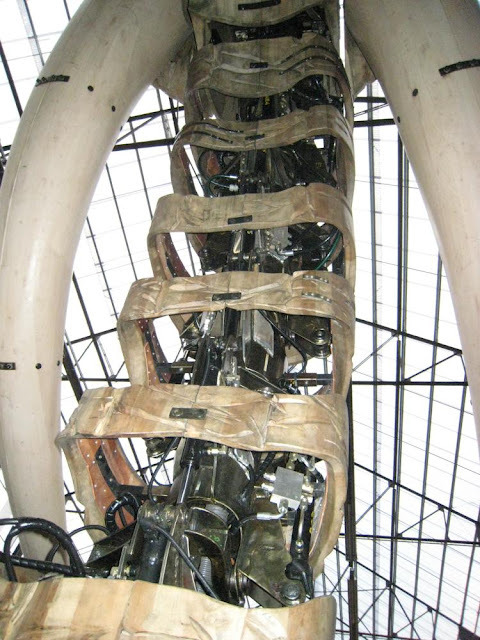 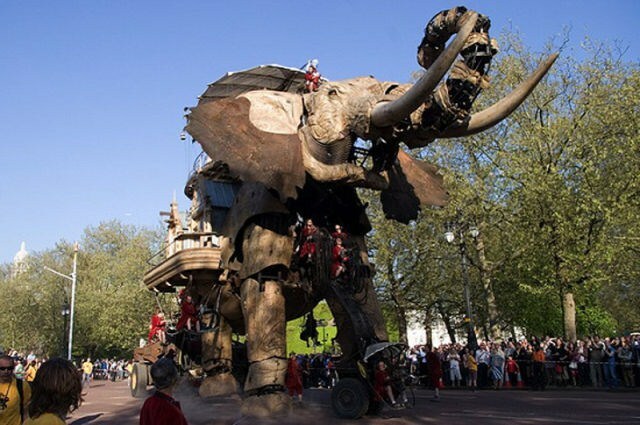 Standing at the height of roughly a building, this piece of abomination needs as many as twenty two people who pull and push a combination of hydraulic levers and buttons to be able to control the mammoth machine and make it move. 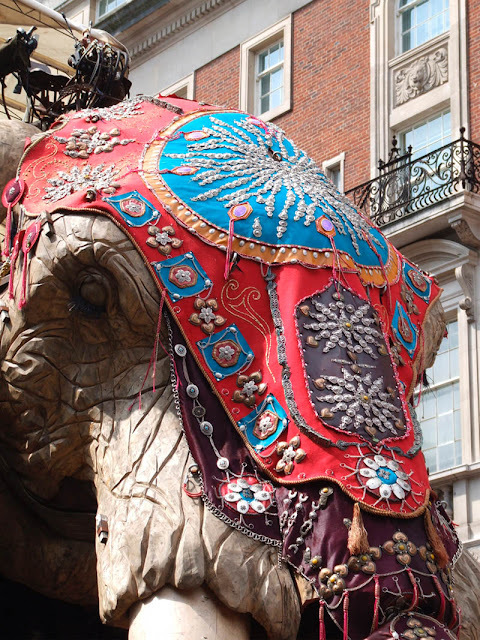 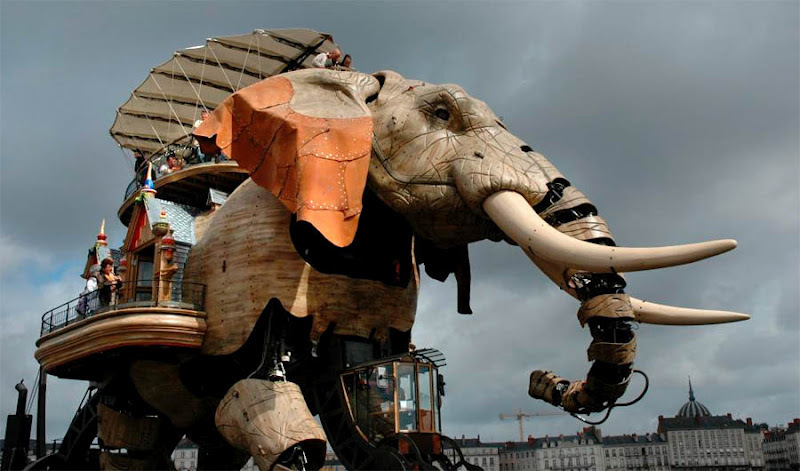 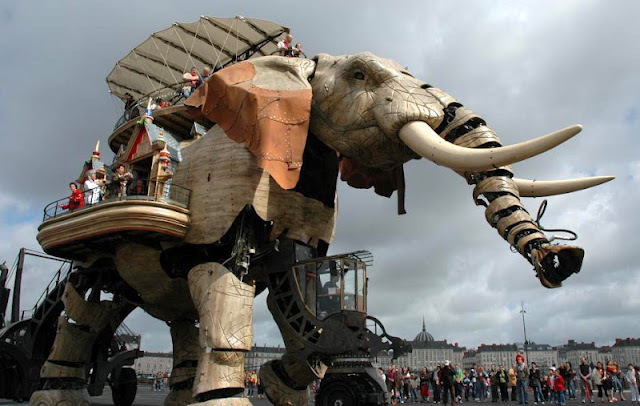 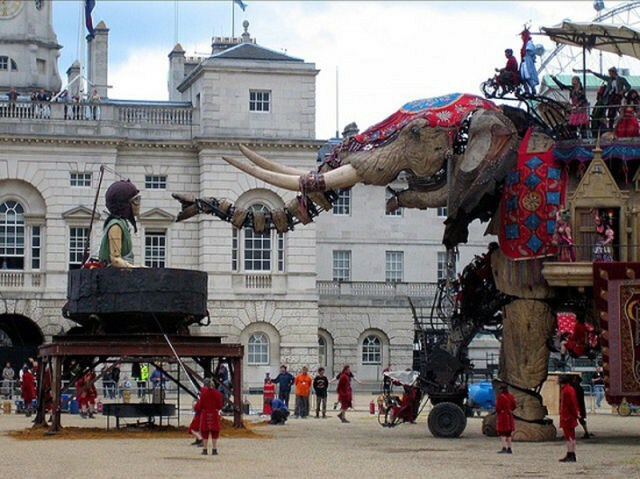 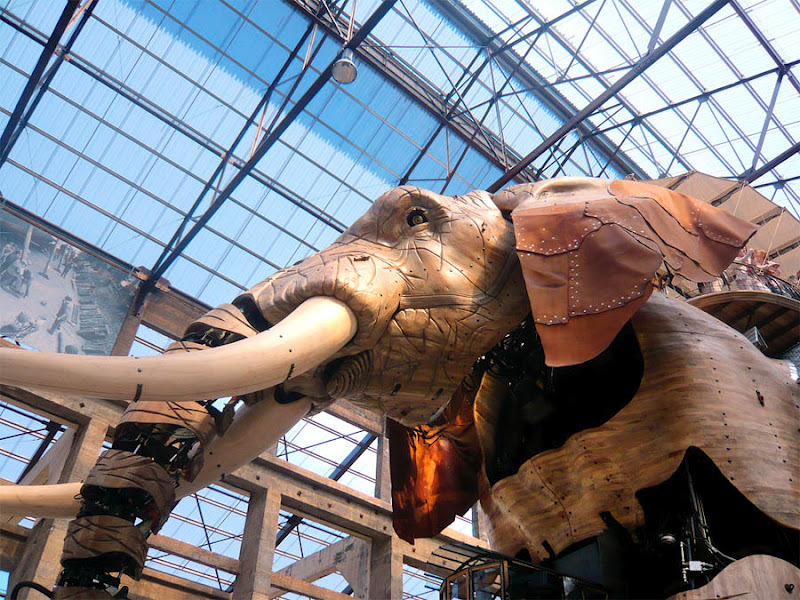 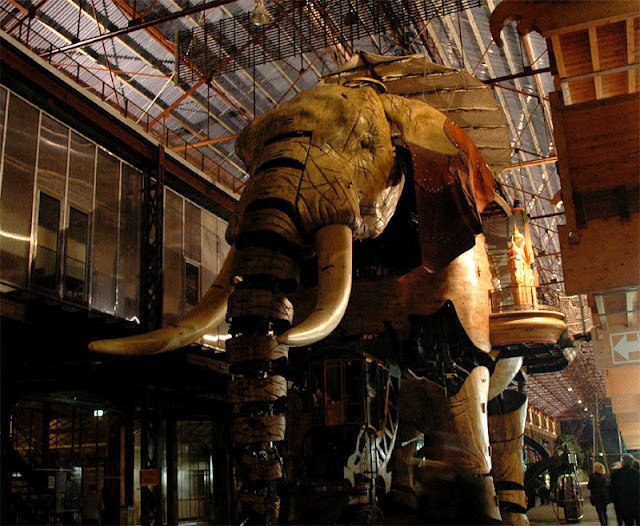 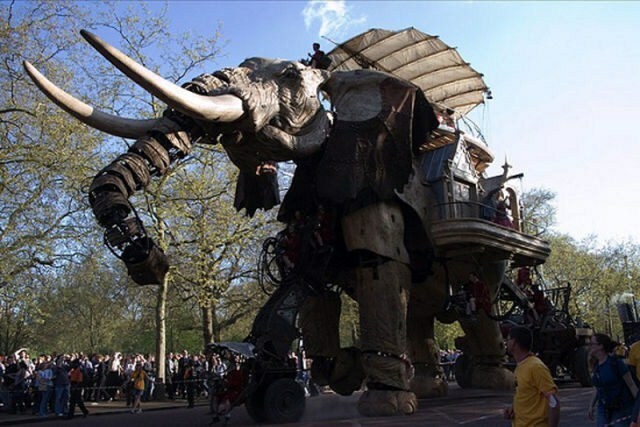 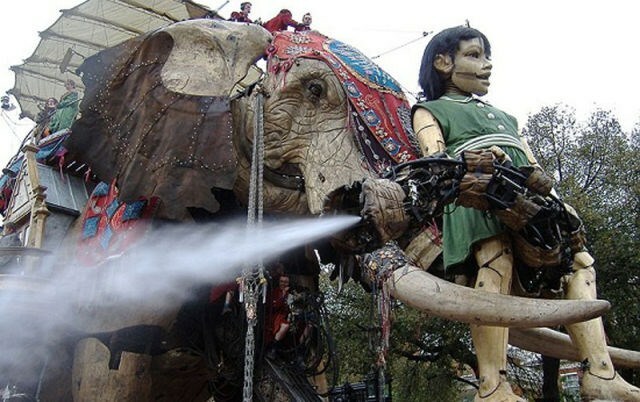 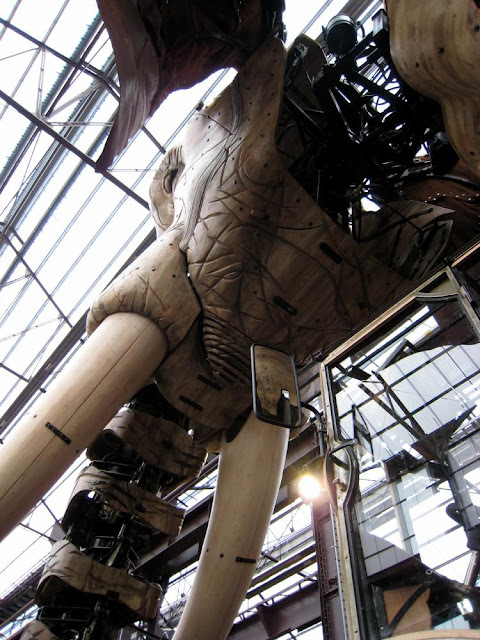 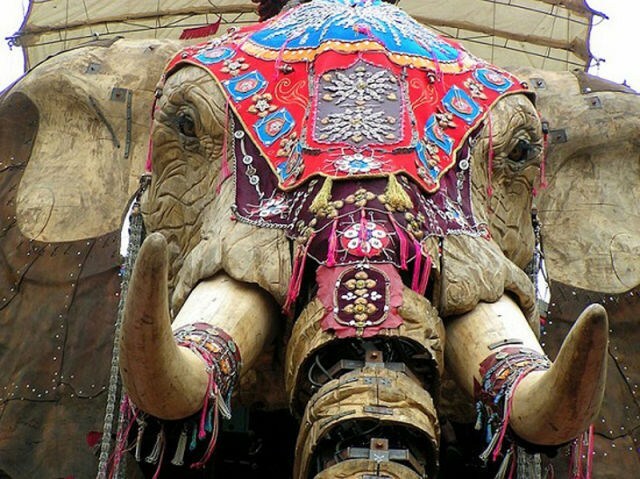 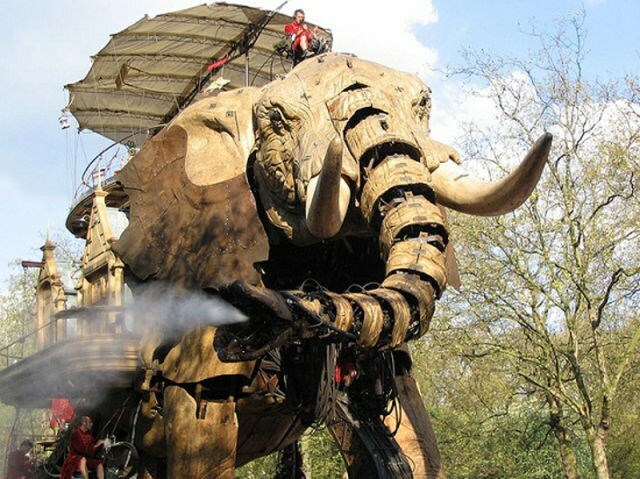 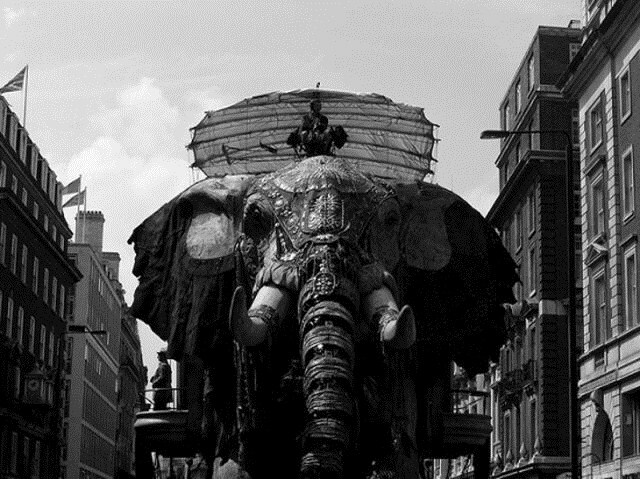 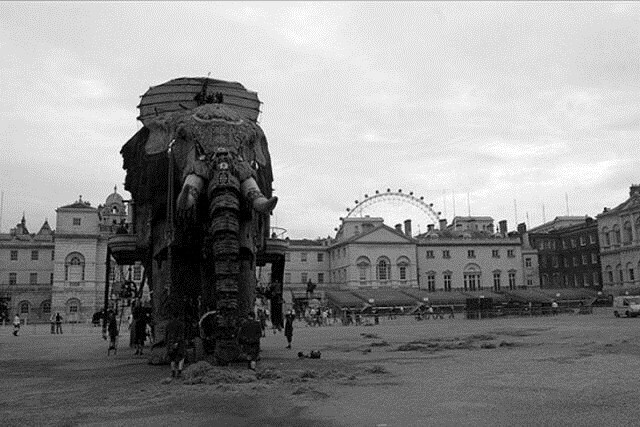 The strange bit is the fact that the mechanical beast can actually imitate a real elephant and spray water from its huge mechanical trunk.